Your RootsTech questions answered here! Attending RootsTech 2018 in Salt Lake City, Utah for the largest genealogy conference in the world can be a bit overwhelming. First-time attendees have questions and we have answers. Learn what to expect, where to go, and other must-know details to make the most of this extraordinary family history event. I’m sure Lesley-Anne and her husband won’t be the only newbies at RootsTech 2018. And they’ll all have similar questions on their minds. 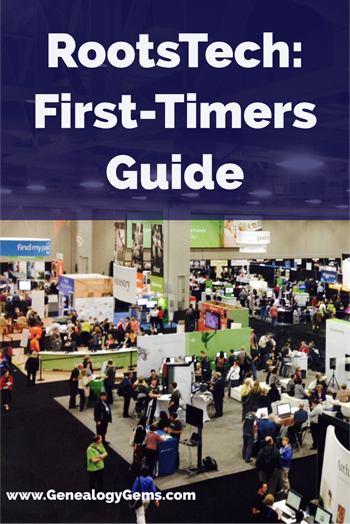 Here we answer FAQs for her and other first-time RootsTech attendees. 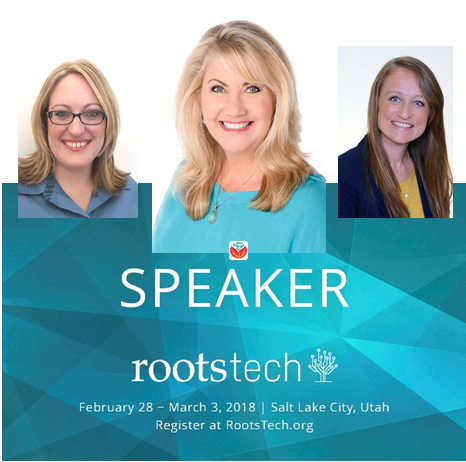 What’s happening this year at RootsTech? RootsTech 2018 offers four jam-packed days of fun and learning: Wednesday, February 28 to Saturday, March 3, 2018. Don’t miss the first day! Wednesday is all about technology. There will be classes for all audiences, whether you’re a tech expert or newbie or (like most people) somewhere in-between. 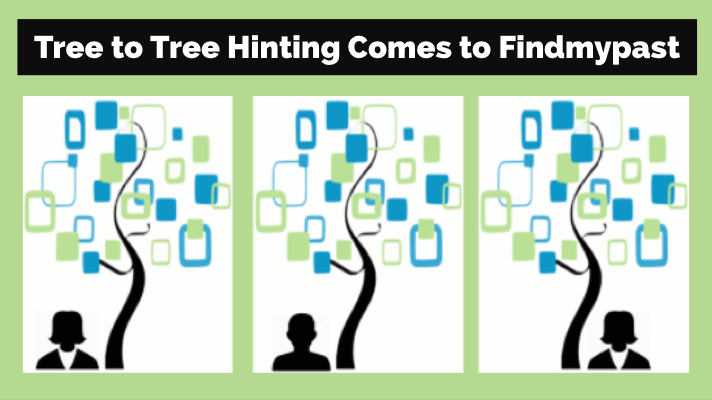 At 4:30 pm, FamilySearch CEO Steve Rockwoodl will give a keynote, followed by a new event called Innovation Showcase. Prepare for a high-tech “show and tell” of what’s new–and what’s coming–in genealogy technology. As soon as that’s over, the Expo Hall opens (6:00 – 8:00 pm) for a special Preview, and then remains open all week. At the Expo Hall, meet the biggest names in the genealogy industry and hundreds of other vendors, societies, and services. It’s a stunning, not-to-miss experience, whether you love the energy of the crowd, the glamorous displays, or the chance to talk one-on-one with people from your favorite genealogy companies and services. The Genealogy Gems booth is known for hosting the ultimate Expo Hall experience! We have our own free class lineup all week long from your favorite presenters. We host great giveaways with valuable prizes you can put right to work for your family history. Click here for the latest updates on our classes, book signings and giveaways. And come by our booth to take advantage of RootsTech specials on our most popular products, including the Genealogy Gems Premium membership (our on-demand Premium video lineup is like having a year’s access to your very own private RootsTech event!). 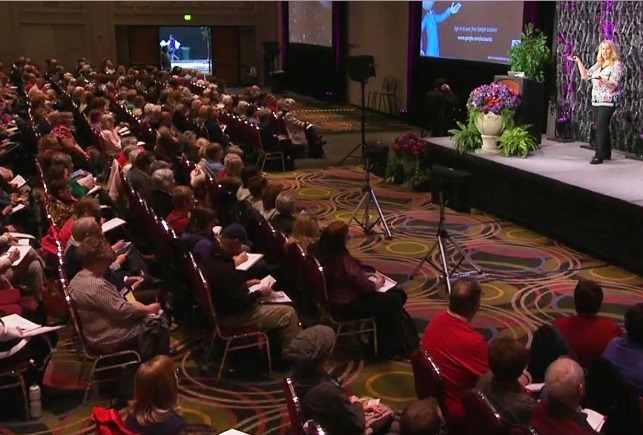 Over 300 RootsTech classes: Classes at all skill levels are offered on traditional family history research skills, DNA, tech tools for genealogy, photos, stories, organizing and more. 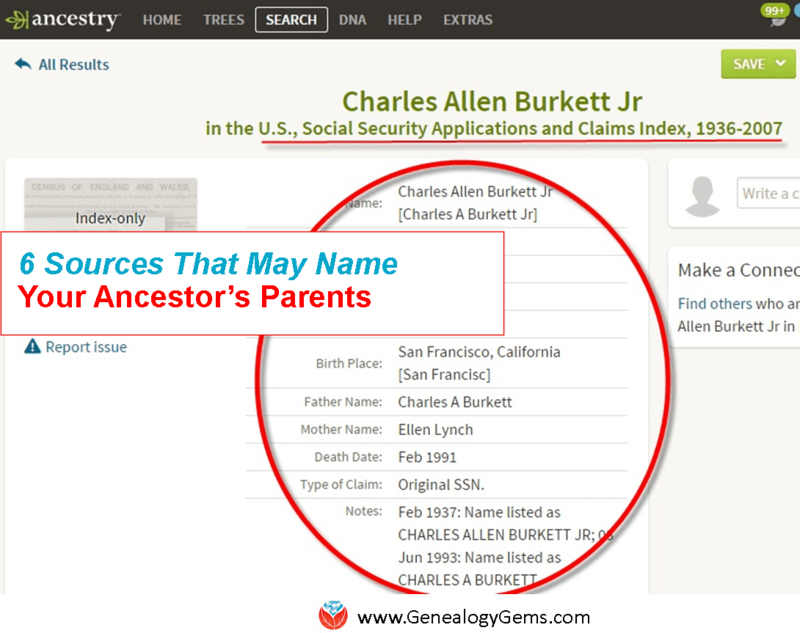 (Click here to view a fantastic class you missed from 2017: Genealogy Gems Contributing Editor Sunny Morton’s “Genealogy Giants” class comparing Ancestry.com, FamilySearch, Findmypast.com and MyHeritage. What are the RootsTech 2018 registration details? You have lots of registration options–from a free Family Discovery Day experience on Saturday to a budget-friendly “Getting Started” four-day pass ($69 promotional price) to the full RootsTech Pass ($199). Click here for a description of all your options. How do I get the most out of my RootsTech experience? Best tip from a conference veteran: plan ahead! If you haven’t made your hotel reservation yet, do it right away. The official RootsTech hotels have all sold out, so you’ll need to look a little further afield. Salt Lake City offers excellent public transportation to the downtown RootsTech location at the Salt Palace. The Salt Palace does have a concession area with several affordable meal options. There are also a few small vendors with sandwiches, coffee, and candy, just outside the hall. You might also like to know that there are several nice restaurants just across the street or within minimal walking distance. The lines are a bit long at times; consider eating a little early or late, so you’re not caught in a “rush hour” for your meal. Once your basic needs are met, plan your genealogy learning and fun! An online master schedule makes it easy to browse all the official RootsTech sessions and plan the ones you most want to attend. Classes are typically one hour, with a 30-minute break in-between. Don’t forget to include the Genealogy Gems Expo Hall classes in your lineup. An important tip for newbies: at some point, your brain will need a little rest from all the learning. Give yourself breaks to walk around the Expo Hall and visit with new friends you meet. What about pre-registering for classes? Lesley-Anne asked about pre-registering for specific classes to avoid long lines and disappointment for filled-up sessions. You must pre-register for any labs you want to take when you register for RootsTech. These are smaller, hands-on classes. If this is your first year, I think you will be more than busy (and happy) with all the sessions included in the regular registration and the exhibit hall. Personally, I would save the extra cost of labs for a return visit. One exception: I definitely recommend Diahan Southard’s lab: “From Click to DNA Connection” (Fri 1:30 pm, taught with Angie Bush). Unfortunately, you can’t pre-register for the general sessions (keynotes) or regular classes. Seating is first-come, first-served. Classes that are expected to have high demand generally have hundreds of seats available. But if there’s a class or presenter you must see, get to the classroom as early as possible, go right to a seat and stay in it. Since some classes will fill up, have a back-up plan for each hour. Another helpful tip when deciding what to do: you will receive a digital syllabus with your RootsTech registration. It has all the handouts for the classes that are part of your registration package. So even if the class you want is full—or you’re ready to take a break and tour the Expo Hall—you can still learn from RootsTech presenters. You may wish to print your desired class handouts before coming so that you can take notes on them. Come by the Genealogy Gems booth (#1203) to get the handouts for all our lectures, too! As Lesley-Anne mentioned, the RootsTech venue is huge. It’s easy to get lost. They do post tons of signs. As the event draws nearer, we will post a map of the Expo Hall to help you navigate to your favorite vendors and societies. Additionally, you will have a map provided to you when you pick up your things at registration. We hope this has given Lesley-Anne (and you) a better picture of what it will be like to attend RootsTech 2018. It really is an amazing experience! For even more information about RootsTech, view their website and our Genealogy Gems RootsTech page. While you wait, here’s a link to several video interviews I have done over the years at RootsTech. See you there, friends! I am! Thanks! Saving this post too! If your next seminar speaker is very popular, you might want to hustle right over to that class, as they can fill up rather quickly. Also, wear comfortable shoes, and have some water with you. Great tips, Marina! You are right about the classes filling up quickly and comfortable shoes are a MUST! Thanks for reading! I clicked on the link for the RootsTech web page and it said that the domain Rootstech.com is for sale? Tammy, that link should be http://www.rootstech.org. ORG instead of COM. Thanks! Thanks so much for these helpful hints. I will be attending my first RootsTech in 2017 and can’t wait to go!! Next year will be my first time at RootsTech. I definitely want to hear Liz Wiseman speak. As suggested by Lisa (above) I won’t be attending any of the labs. Which ticket should I purchase? Thanks so much! I am considering attending, however, I will be by myself. Is there a “bulletin board” or way to find a room-mate to share a room and share cost? I have registered for rootstech and have a room reservation at the Marriott for Feb 28th. I’ve been trying to get a room for March 1 and 2nd but the hotel says they have no more, they told me to contact rootstech to see if I can get on a cancellation list but roots tech says they have no list. I would like to find someone who cancels, or who would share a room. I am age 68 and female. Thank you. I know this is in Salt Lake City, UT, but where? Rootstech is being held at the Salt Palace in downtown Salt Lake City. I have attended all of the RootsTech Conferences except the first one, and I found this QnA to be helpful, I will be sharing this article with others in my sphere of acquaintances. Thanks for the shout out Jeannette! Here’s a link to our schedule and all the information at Genealogy Gems at Rootstech (including some amazing prize giveaways!) 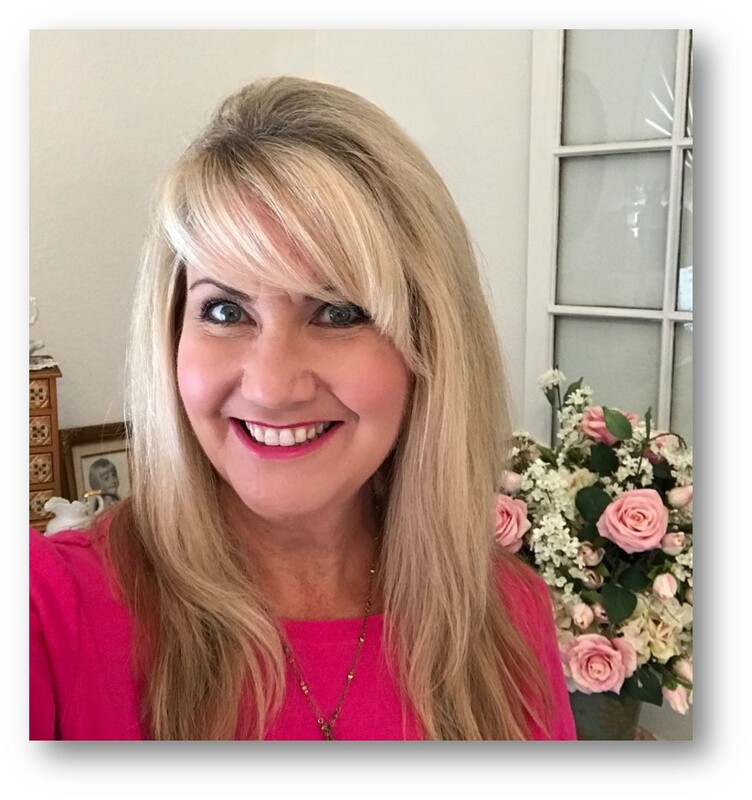 https://lisalouisecooke.com/rootstech/ I hope we see you there. My wife Evelyn and I are coming to Rootstech for the first time! we are very excited and nervous about the event with so many people attending. I hope to get a chance to meet you and your team since I have been enjoying your enthusiasm for genealogy in your podcasts and videos. Are you going to have a schedule of events at your booth out before Rootstech? I hope you do because we are hoping to plan as much as we can before we get there. We are coming in a few days early to get our bearings and hopefully stay a few days later to get some time in at the Family History Library. I really appreciate you giving first timers advice it all helps to put us at ease. HI Dennis and Evelyn! 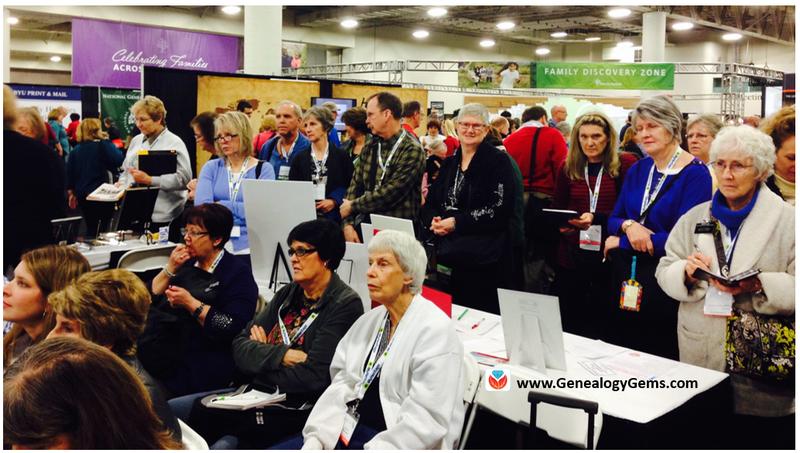 Here’s a link to our schedule and all the information at Genealogy Gems at Rootstech (including some amazing prize giveaways!) https://lisalouisecooke.com/rootstech/ Please consider our booth your home away from home. We have chairs, presentations and a helpful team who can answer your questions. We’re Rootstech veterans. 🙂 See you there! One thing about Salt Lake City is that it is very, very dry (high desert country)! Marina mentioned water – I also recommend a really good lip balm or vaseline. My first visit, I had nosebleeds from the dryness. Putting some vaseline just inside the nostrils really helps. Also, bring or buy some simple lunch items and brownbag your lunch each day – gives you more time in the Expo Hall (which has tables you can eat at, while you listen to presentations at the stage area)! I also try to bring clothes with lots of pockets and leave the handbag in the hotel. Saves a lot of juggling items. Good comfortable shoes are a must. Get the RootsTech app onto your phone or tablet, go over the sessions ahead and star the ones you want to attend, even if you have 2 or 3 starred in each session. That gives you your backup plan if the first one is full, or you change your mind. You can also download (e-mail yourself) the session handouts ahead of time. All excellent reminders. And you’re welcome to bring your lunch to our lunch time sessions at booth #1203. And we’re giving away awesome prizes! Thanks Nancy and looking forward to seeing you there. I’m SO excited to be attending for the first time! I won a four-day pass in a give-away! Just a hint for those looking for lodging: I found a little place through airbnb in downtown for a fraction of the cost of a hotel. I was sure to check the reviews before booking. So, if the hotels are full, that might be an option for the adventurous! I’m very much looking forward to meeting Lisa and the team! I hope you don’t mind selfies! We don’t mind selfies at all Barbara! Looking forward to meeting you and congrats on the bargain hunting!